Utilize steam to kill 99.9% of germs and bacteria from surfaces. 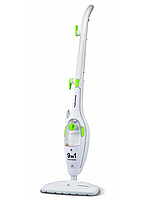 A steam mop is quicker than traditional mopping as there is no need to have bucket of warm water on hand at all times. Simply utilize the combined power of heat and steam to disinfect floors, remove stains and restore the shine from a surface. It’s so effective that the intense heat from the steam can eliminate 99% of bacteria. Here are 10 of the best steam mops of 2018 to give your floors a thorough clean. You can also read summarized reviews of these models here. 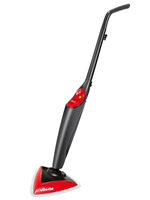 Looking for a more portable steam cleaner? Then check out our top 5 best handheld steam cleaners here. Steam & Detergent – Does the steam mop use steam only or have the option of combining steam and detergent? The latter is intended to do a better job at removing dirt and eliminating bacteria as opposed to just using steam only. Certain models who are able to do this usually includes at least one container of detergent. Heating Time – How long does it take for the steam to heat up enough so that it’s ready to use? Maximum Steam Time – How long can the steam mop steam clean for? This is a rough estimate based on one full tank of steam and/or detergent. Variable Steam – Certain models enable you to adjust the temperature of the steam so that you have more flexibility when cleaning certain areas or things. Water Tank – The amount of water that can be held in the base. Steam mops that use steam and detergent sometimes have two separate tanks (one for each). Anti-Scale – Steam mops that have an anti-scale feature helps remove calcium build-up which leads to limescale, meaning that you won’t have to do it manually to ensure the longevity of your steam mop. 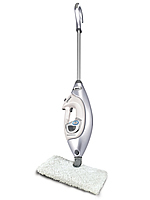 Cleaning Surfaces – Practically all steam mops are designed to clean hard floors and carpets. 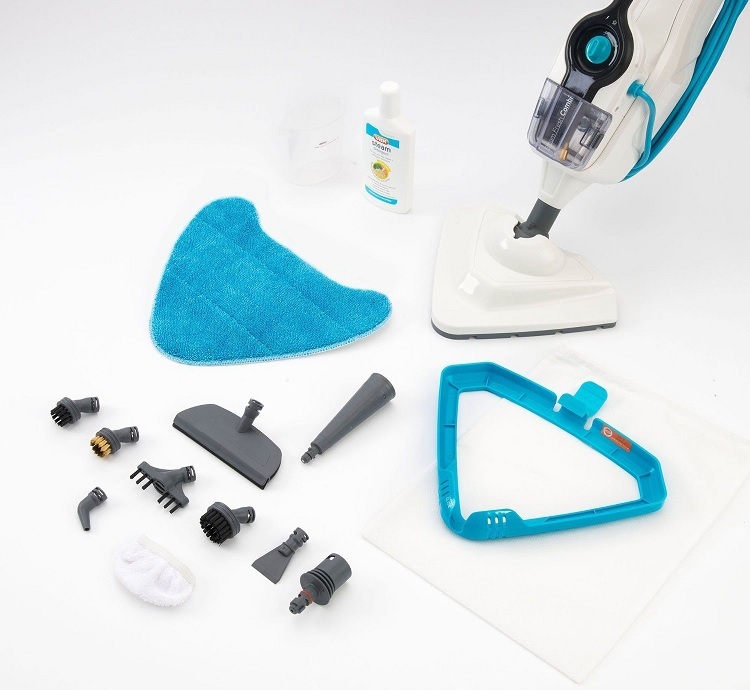 However, certain models allow you to remove the mop and attach other included attachments designed to clean other areas such as windows, mirrors, ovens, tiles etc. Key Factors a consumer needs to consider before selecting on a particular steam mop include size and mass of the mop, the cost of the mop, accessories and attachments that come with the mop, size of the water tank, temperature and pressure levels, levels of noise from the appliance, and the ease of use. We will now proceed to look at these key factors in greater detail, to help you decide what is the best steam mop for your own unique needs and circumstances. One of the main questions asked is “what types of floors and surfaces can a steam mop clean?”. 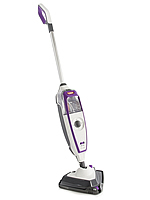 The simple answer to that question is that a steam mop can clean most types of flooring. However, it specifically depends on what type of steam mop you buy as some are suitable for cleaning laminate floors while others are not. Also, some steam mops include different attachments to clean ovens and hobs, windows and mirrors, grills and tiles etc. While others are designed just for floors. From handheld, apartment use, portable steam cleaners to industrial sized commercial appliances, steam mops and cleaners are available to buy in a diverse cross section of mass, size and unit shape. The gross bulk will depend on the type of appliance purchased, in addition to the specifications of individual models. Before purchasing a steam mop, the you’re well advised to study the weight, dimensions and ergonomics of the unit. 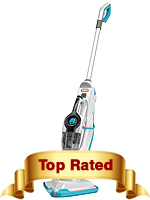 You can find this information by reading our quick steam mop reviews or just take a look at our comparison table above. 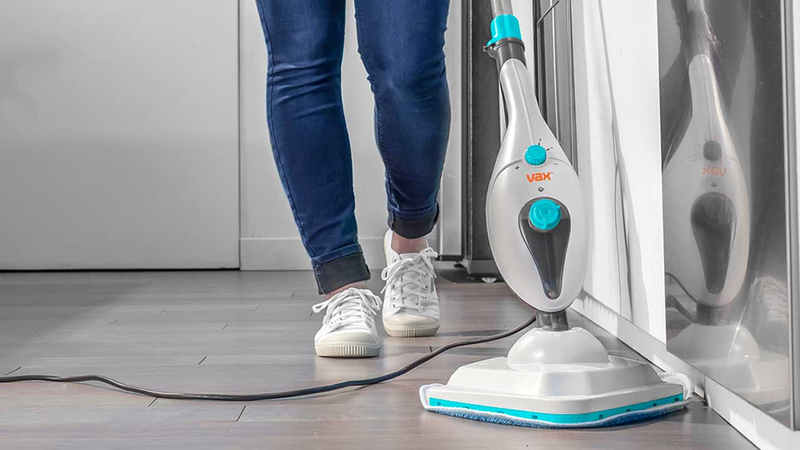 Once you have decided on the relevant mop weight and size, consider carefully if you would like to push an unwieldy, bulky appliance around the house or flat, or if a portable and convenient lightweight steam mop would better suit your requirements. Steam mops are intended to bring convenience to the inescapable household chore of mopping floors, so unless you have a house the size of a large factory or warehouse, a heavy bulky juggernaut of a steamer would defeat the purpose of buying the appliance in the first place! Consumers should also be mindful of the issues around storing the mop. No matter how efficient and powerful the cleansing blasts of steam coming from your mop may be, it still must be put away in a tidy corner. Therefore think how much space the mop will take up in the cup board or utility room before you buy on impulse or in response to the slick pitch of a friendly sales assistant in an electrical store. Unlike a computer or 50″ 3D TV screen, presumably a steam mop is the one electrical appliance you want to keep out of sight. So is there sufficient discrete storage space for that? 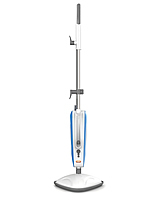 The water tank on a steam mop can vary in size and makes all the difference in steam times. 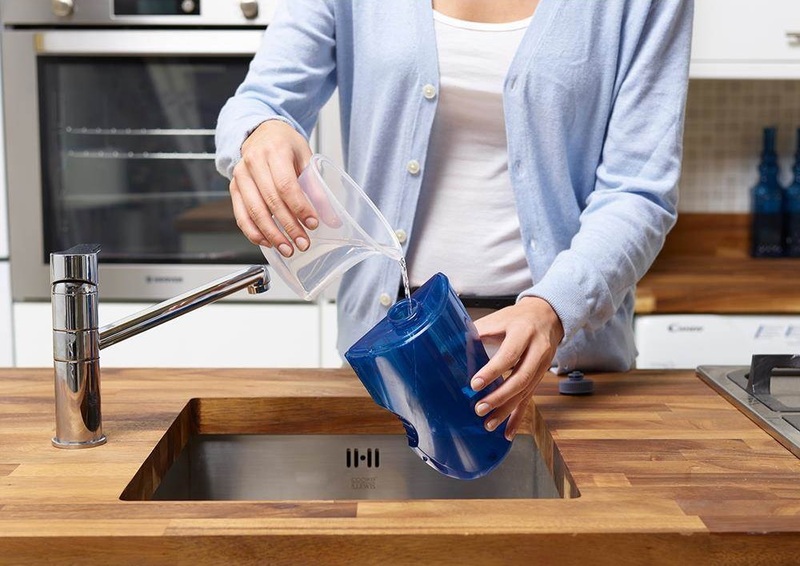 Some models allow water to be mixed with a detergent for stronger cleaning. 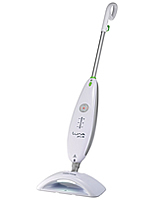 No different from an iron, the steam mop or cleaner will only emit steam when there is actual water inside to produce it. In the case of a small steam cleaner, that item usually results in users refilling the water tank on a regular basis, often in the middle of the cleaning job. A larger sized tank will last a lot longer, but they take a lot more time to heat up enough to emit steam, leaving users waiting around for the tank to heat up. The pros and cons decision between small and large tanks means you need to strongly consider the size of the tank before purchasing. The average steam mops or hand help units tend to use a small tank and short waiting times. Decide which you prefer and keep an eye on the comparison between the size of the water tanks in different models you may be considering. Steam mops and handheld steam cleaners usually have smaller tanks and brief heating times, but on the other hand, steam appliances with large cylinders take less time between refills. 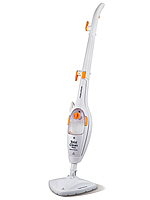 For example, a Vax steam mop may have 15 minutes of steaming time and the heating up time is just under half a minute. In contrast, a Shark steam mop may cost less to buy than the Vax but its steam availability time is not as long as its counterpart. Attachments for the Vax S86-SF-CC Combi Classic, which allows plenty of different surfaces to be steam cleaned. The majority of steam mops and cleaners have standard basic accessories that are adjustable to a variety of surfaces, these accessories are very useful in cleaning different nooks and crannies of a house. Some models have extra attachments available as part of the initial purchase (usually the pricier, fancier models) while other brands sell their accessories and attachments separately. 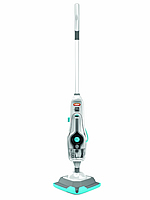 If versatility is the unique selling point you have in mind when looking for a steam mop, then you should consider the range of attachments with each mop. You should try and envision which of these attachments have the basic functions needed for the cleaning tasks you intend them for. An impulse buy of a steam cleaner with a multiplicity of uses and accessories that doesn’t actually reach the specific areas in your home is of very little practical use. The heat level your steamer reaches and the pressure produces are inextricably linked. Mops and cleaners with high temperatures emit a “dryer” steam that features stronger pressure levels, thus being a more hygienic and thorough clean that efficiently removes more bacteria and germs. Some units (generally cheaper ones) can’t maintain this high powered, ultra efficient pressure levels for prolonged periods of time. An appliance that cannot consistently maintain the desired levels of pressure will not be as effective long term in killing germs and maintaining your desired levels of domestic cleanliness and hygiene. If the dryer, deeper clean is a higher priority for you, then it’s probably worth paying a premium price at the start for the highest quality, best steam mop UK retailers have to offer. Steam mops and cleaners are normally less noisy than hoovers, but inevitably they must emit some level of noise and in fact some models can be very loud. If noise levels are the key consideration on your mind, then you should probably try and source a model that offers lower noise levels as a unique selling point, and make sure that real user’s steam mop reviews back up the maker’s claims to low noise levels. Some manufacturers go so far as to mention the decibel levels in their product specifications. If the model you are browsing lists this number, then you have a realistic idea of the noise levels. However, it is relatively rare to find this level listed in the specs, so customer reviews and honest electrical goods sales staff are your more realistic source of information on the noise levels of a particular model. There is no doubt that lightweight portable steam mops are easier to work with than the bulkier, industrial sized units, but the heftier mops and cleaners undoubtedly offer a deeper level of cleaning. This dilemma is a “cost-benefit” analysis that was alluded to earlier on in this blog. The trade off between deep cleaning efficiency and lightweight portability should be examined in the context of whether hygiene or ease of use takes priority in your home. The best steam mops usually have the ideal balance of both. As is the case with any household discretionary purchase, the sales price will have enormous bearing on the type of mop you eventually settle on and purchase. Portable handheld cleaners can be bought at bargain prices, but the electronic parts may have a very short shelf life. Certain cylinder and vapour based steam mops and cleaners can carry premium prices, but these appliances have a multiplicity of uses and could offset the need to purchase different cleaning products. For an “average” homeowner living in a three bedroom semi detached with a couple of kids and a pet, the low to mid price range should be more than adequate, though if you plan on using the cleaner on a daily basis, a mid to upper priced unit may be more appropriate, than the “cheap and cheerful” options which may not have as long a warranty or replacement part guarantee.